Why a Statement of Information? 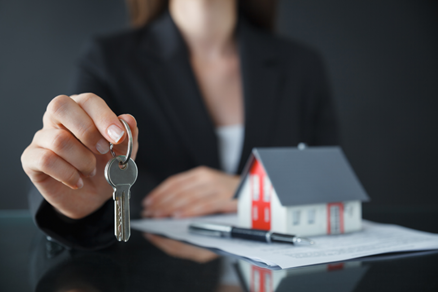 Your title partner will work to find and resolve any title matters that might affect your real estate transaction. The Statement of Information from the buyer, seller and borrower helps the title company to do that in several ways. It helps to distinguish buyers and sellers from other people with similar names. It assists in identifying and avoiding the use of any forged or fraudulent documents. It helps to expedite the application for title insurance. How does the Statement of Information work? It establishes and confirms the identity of the parties involved, assisting the title company to eliminate or resolve any matters that affect real property, such as child support liens, judgments, bankruptcies, etc., that may have been filed against others with the same or similar names. What types of information are requested? The information asked for may include, but is not limited to, full names, last four digits of the Social Security number, driver’s license number, year of birth, date of marriage (if applicable), any previous marriages, residence(s) for the past 10 years, and employment for the past 10 years. What happens if a buyer, seller, or borrower fails to provide this information? At best, failure to provide a Statement of Information form will delay the search and examination of title records, which in turn delays the issuance of a title policy. At worst, it could delay or prevent the closing of the transaction. Without a Statement of Information, the title company would need to list as exceptions from coverage any judgments, liens or other matters that might affect the property to be insured – and any such exceptions would be unacceptable to the lender, whose interest must also be insured. Is the information contained in the Statement kept confidential? It is confidential and used only for use of the title and/or escrow company in completing the search of records necessary in order for a title insurance policy to be issued.